Inside what's known as the Mother Church of Binghamton, it's all soaring ceilings, tons of marble, and stained glass windows. Before Saint Patrick's Church was built, the hill on Leroy Street was an empty lot. In fact, there were no Catholic Churches at all in the Southern Tier. Inside Saint Patrick's Church on Binghamton's west side. “There were 10 Irish catholic families at the time," says Kathy Reynolds, historian at Saint Patrick's Church. That was in 1834, and one of those families was about to have a wedding. James White, an Irish immigrant, wanted to marry Rhoda Waterman, who was a protestant. “But he was catholic and she was episcopal. That’s a no, no," says Reynolds. James and Rhoda had to get married outside because his Irish guests would not step foot in an Episcopal church. “The Irish said, 'No, no, not going to have anything to do with the church of England. Absolutely not,'" says Reynolds. 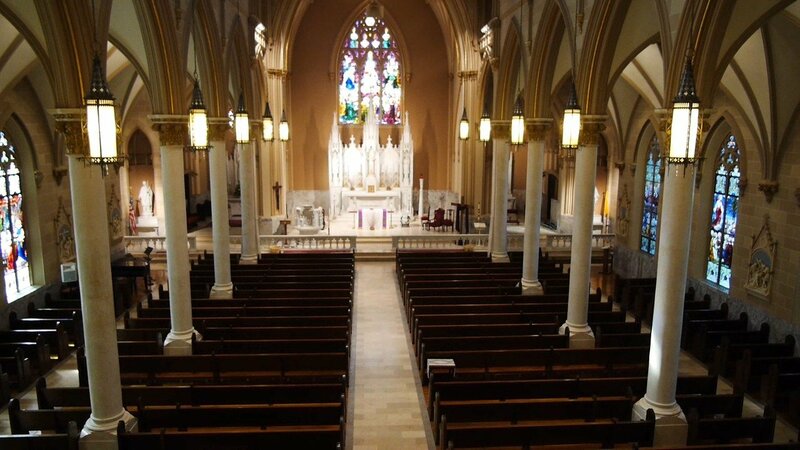 It was that wedding that triggered a plan to build a place of worship for Binghamton's Catholics. Who was behind it? A group of Protestants led by Rhoda's father, Colonel Waterman. This group of men who had volunteered to contribute land for the church wanted to build on a plot at the corner of Front Street and Leroy, but the land was flat. The Irish community was very set on one thing; the land could not be flat. No, no, no, no! We want it on a hill like the churches in Europe. They eventually bought the little hill on the corner of Leroy and Oak Streets. The first building was a small, white church completed in 1838, just in time for a flood of Irish immigrants. And the Irish came in droves, in droves! Needing more space, the church hired architect Isaac Perry to design the cathedral-style structure in 1868. The church was completed in 1872. Perry was known for his work designing the "Castle on the Hill" on the city's east side, but had been making a name for himself all over the state. “He did nine churches around NY state and four of those were here in Binghamton," says Roger Luther, 100 Years Ago Today Historian. Saint Pat's Church became a big part of life for the Irish community, multiple generations were baptized and married in the church. “My family has been in this church for 6 generations.That is not unusual in Binghamton," says Reynolds. It was those generations of parishioners who would build it into what it is today. The stained glass windows, were shipped from Germany a few at a time, church-goers paying as they could. "This church is unique in that every other window tells the story of Saint Patrick," says Reynolds. 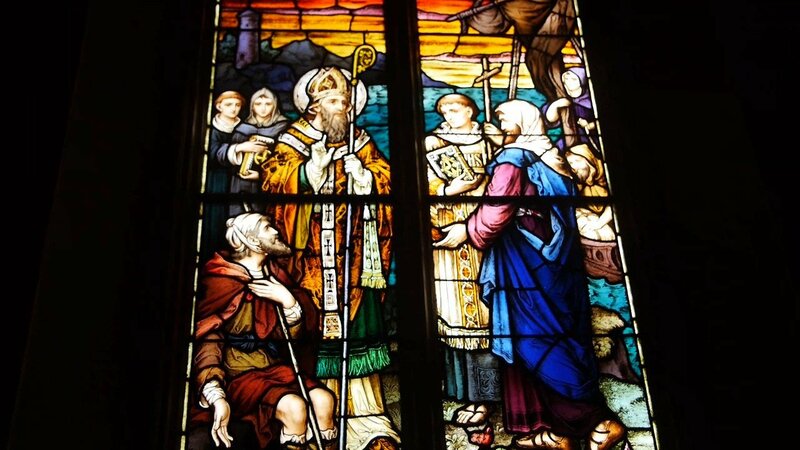 Saint Patrick depicted in a stained glass window inside the Binghamton church. The first World War interrupted the shipments of windows, but by 1928 the church had a full set. The window behind the alter was the last addition. The building has seen a lot of changes, the original steeple was removed in the earl 1900s and a celtic cross was added out front in 1998 to recognize the heritage that built the church.